As a measure to empower small businesses, the US Federal Government came up with a program that allows the emerging entrepreneurs to do business with the government. The program allows the small scale vendors to apply for a chance to supply various good and services to the government. The Federal Acquisition Service (FSA) runs the program. The agency has the responsibility of administering the program by processing the applications and proposals from vendors. The agency also awards the contracts to the successful vendors. Once the contracts are awarded, it is upon the agency to administer them by amending any contracts for any product and price changes. GSA Schedule 36 refers to the section of the program that allows the small businesses to supply the Federal Government and its agencies with office products related to imaging documents. It is for this reason that the section is also known as the GSA Office Imaging Schedule. 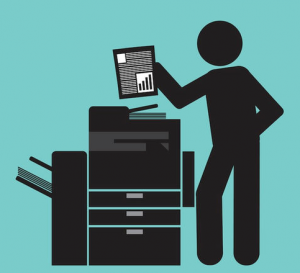 A vendor that successfully applies and gets a chance to supply items under this schedule will supply government agencies with products such as printers, standard copiers and also fax machines. Other products that the vendors can supply include office cabinets and filing systems, projectors, transcription & dictation machines, date and time stamps, electronic whiteboards and security applications for office equipment. In addition, the vendors are also likely to be asked to supply cash registers, paper money counters, coin sorters, mailing machines and related software, document identification systems, digital duplicators, optical imaging systems and copier rental plans among many other products and services. Being the leading acquisition vehicle for the government, the program is worth a lot. The programs purchases products and services worth about $50 Billion in a year which translates to about 10% of the overall Federal Government Procurement budget. Small businesses are awarded up to 80% of the total contracts under the program. The small vendors represent up to 36% percent of the value of the contracts awarded. The schedules have been designed to offer fast and effective contracting options to the government agencies and vendors. The success of the venture is evident with many small businesses growing and earning decent returns for their owners. Although the program has many benefits, vendors need to be prepared to go through a rigorous selection process before they can qualify as approved contractors. The most difficult part revolves around pricing matters. The potential vendor has to agree on a fair rate with the government agencies. It thus means that some businesses have to hire a consultant to help them navigate through the detailed process. However, it is worth noting that the businesses find the results worth the effort. Businesses that have been approved find that there is less competition for contracts compared to the normal public procurement processes. In addition, they save substantial amounts of money that would have been spent on bidding for various contracts. Another huge advantage of GSA Schedule 36 is that vendors can close deals within a couple of weeks instead of the months it takes to bid and start supplying products. After being approved, a business is not expected to just sit back and wait for contracts. They are required to actively promote their services and products to various federal agencies in order to be awarded contracts. Like everything else, there are a few drawbacks associated with the program. Once a vendor agrees on prices during the awarding of the contracts, it is hard to change them. If the cost of the goods a vendor is selling shoots up, they are bound to continue supplying at the same price until there is a renegotiated deal. The price changing process takes time. It thus means that a vendor can make some losses if they did not get the pricing right the first time. A business is also required to meet a minimum threshold of $25,000 per year. In case the vendor does not get enough contracts to meet the minimum amount, their contract is likely to be terminated. A business also has to make sure that it has the right systems in place to track and follow up on payments until they are paid. As an empowerment program, the GSA Schedule 36 has been a huge success and continues to give a chance to small businesses to do business with the government. If you need help getting on GSA Schedule 36, contact GSA Scheduler today.